DISASTER response teams have been busy helping Deepwater residents get back on their feet after the destructive fires of November and December last year. Today, Member for Burnett Stephen Bennett will be on the ground with veteran-led global disaster response organisation Team Rubicon Australia at one of the hardest-hit homes in the area, lending a hand in the clean-up process. Mr Bennett said the Deepwater community and Team Rubicon have been amazing people in such a difficult time. "Time and time again over the last month I've seen this community band together to help each other out," he said. "Now they have the help of Team Rubicon's trained volunteers who have been hard at work in the region since Boxing Day." 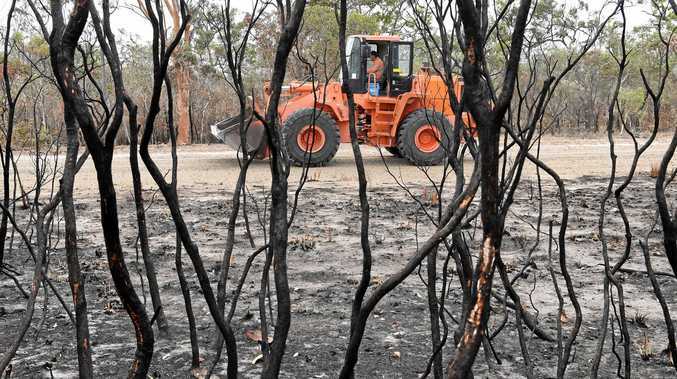 Recovery teams in Deepwater and Baffle Creek are looking for all the help they can get, and Wartburg Rural Fire Brigade First Officer Judy Ferrari urges any able bodies to get into the community spirit by registering to help at the brigade's fire shed today. "Please come to the fire shed to register with appropriate work gear and closed in shoes or boots."